Bingo! Yes, the beloved childhood favourite is here with even more fun and excitement. Find out what it takes to yell Bingo, and the rules of the game today. Ready for some fun and the chance to win instant cash prizes and jackpots? TapTix is fast and easy: just put money in the machine and see what happens. Break open tickets are easy-to-play and offer a variety of prizes that can be randomly won. It’s another option for fun at any Charitable Bingo & Gaming Centre. Looking to play at your own pace? Play on Demand (POD) games are electronic games that are played on eBingo terminals. 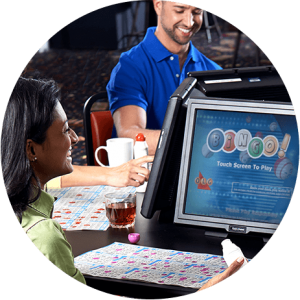 Play independently, between Bingo sessions, or during live Bingo games. Leave your bingo dauber at home. eBingo is a modern version of the traditional paper bingo you know and love. Take your game up a notch. 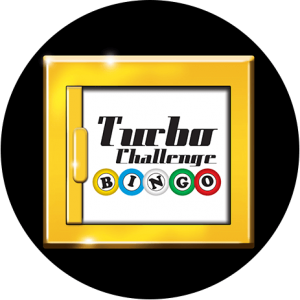 Turbo Challenge Bingo is designed to keep even the most experienced bingo players on their toes. A Savvy Strategist, a Social Butterfly, a High Roller? It’s great to know before you play. Take this fun and easy quiz and find out.